Though uncommon, sometimes I am asked to cover a shift at trader joe’s working Demo . Many people know it as the sample place, snack corner… or, if you’re a free-loading pig, it’s lunch. Either way, I’m never totally stoked about these shifts. Something about the general public, free food, and a predetermined, unhealthy TJ’s concoction just doesn’t suit my particular sensibilities. Fortunately, my bosses usually cut me some slack and let me experiment in the kitchen as long as I continue to dole out nasty small plates to the customers. I decided that not only would be wise to introduce my coworkers to a late night snack in the realm of Paleo, but also include some unfamiliar ingredients. While many may think that Trader Joe’s is a healthy establishment full of hippie lettuce munchers and knowledgable vitamin pushers, I regret to inform you that you are sorely mistaken. As a whole (keep in mind, I’ve worked at not one, not two, but FOUR different stores.) most crew members are satisfied on a diet of cigarettes, beer, and frozen pizza. 1. 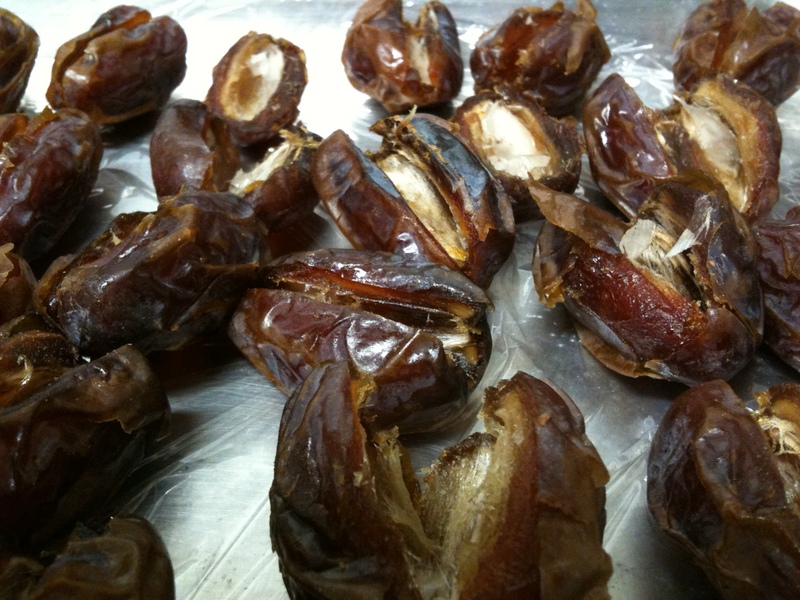 Slice one side of the date lengthwise to take out the pit and create a space for the goat cheese. 2. In a bowl, mash together goat cheese and lemon curd and scoop into a pastry bag, or a ziploc. 3. 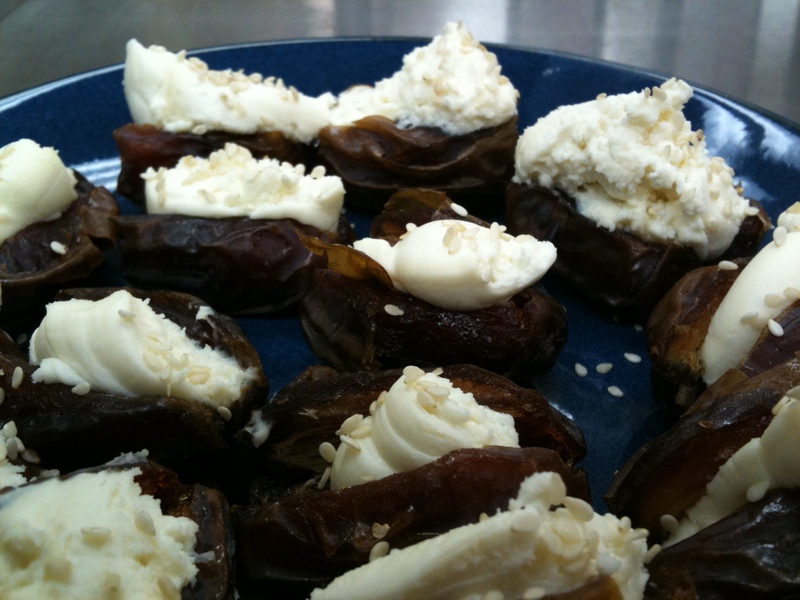 Trim off tip of the bag and squeezing from the top, fill each date with a little bit (…or a lot) of goat cheese. 1. Same process as the first batch, just different ingredients. 2. 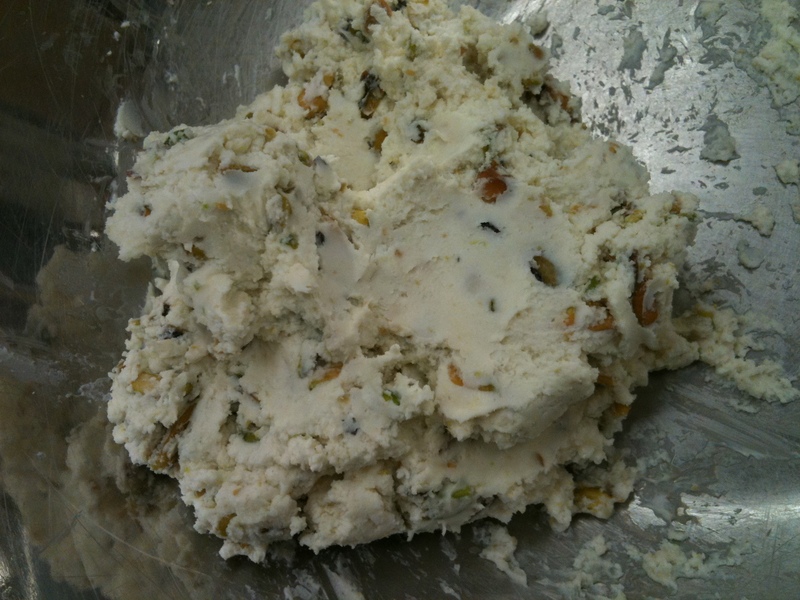 In a bowl, mash together cheese, most of the chopped pistachios (reserve about a tablespoon of pistachio pieces/dust), vanilla, and honey. 3. 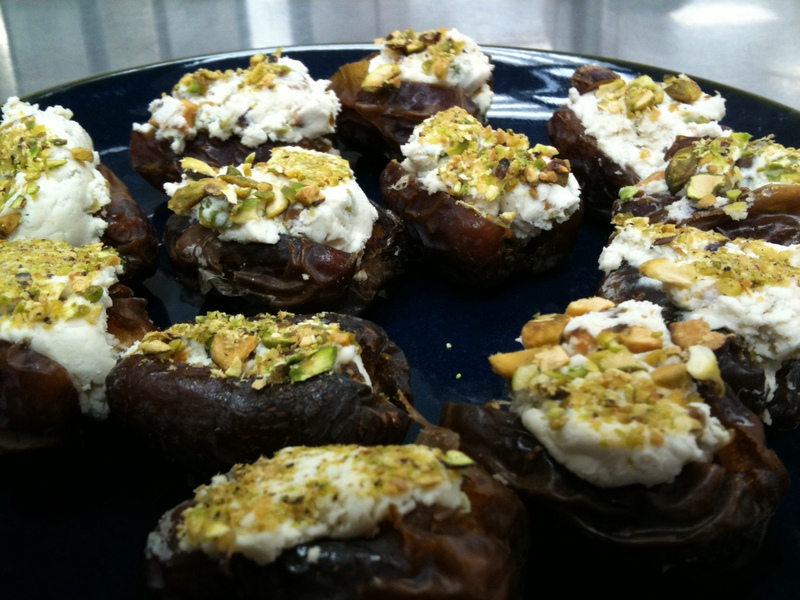 Fill the dates and garnish with the reserved pistachios.